Between 16-18 June, strombolian activity had been more vigorous, sending incandescent blocks to up to 150 m height and destroying parts of the intra-crater cones around the vents. On June 20, two lava flows descended yesterday from the central crater and have reached 150 and 200 m length. Small strombolian explosions continue from the crater. The two lava flows from the central crater cone to the SW and W are still active, with fronts of about 200 and 300 m width near the saddle of Cerro Chino. Weak strombolian activity continues to be present at the summit crater. 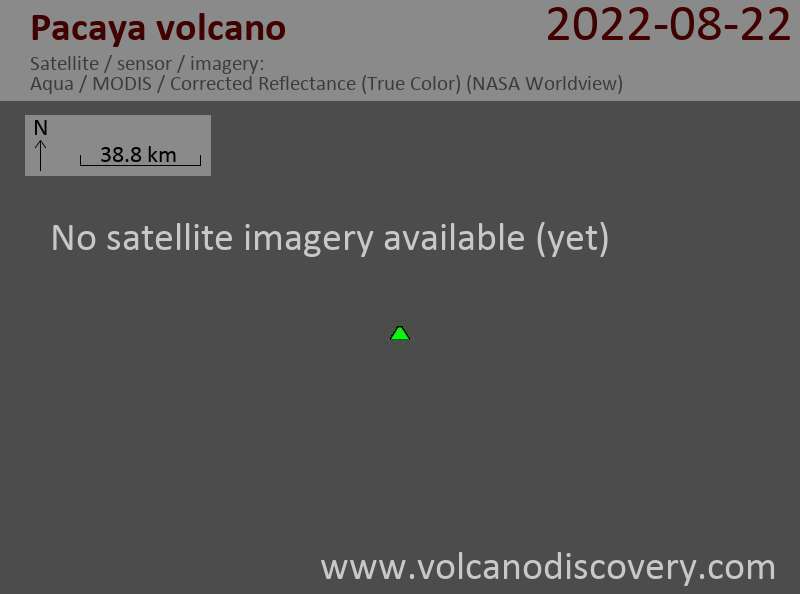 "During 1-6 June, incandescent lava was ejected as high as ~75 m above Pacaya's crater. An intra-crater lava flow extended ~300 m from the SW base of the central cone. On 6 June, a lava flow traveled ~200 m down the volcano's W flank." Strombolian explosions have paused since yesterday, while small quantities of white steam are still being emitted. Two lava flows, about 2-300 m long, are still active and flowing down in parallel channels at the WSW base of the intra-crater cone. Blocks detach from the flow front and arrive at the saddle between Cerro Chino and Pacaya. Incandescent lava was ejected ~50 m from Pacaya's crater on 17 May and an intra-crater lava flow extended ~300 m from the SW base of the central cone. On 20 May a thin plume rose ~500 m above the volcano's crater (~10,000 ft a.s.l. ).